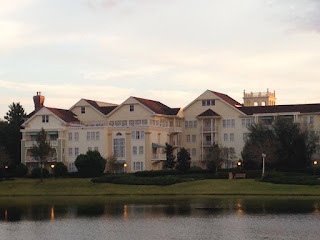 One of the most popular questions I get asked as a travel agent is this: Should I stay on Disney property or stay off-site? Ultimately, it’s up to each family to decide what is right for your vacation, but there are tons of great reasons to stay on property. 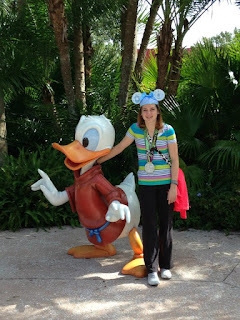 1) Extra Magic Hours – This is one of my favorite perks as a Walt Disney World Resort guest. It doesn’t matter which of WDW’s resorts you’re staying at, each gets Extra Magic Hours. Extra Magic Hours are offered most days at one or more of the parks at Walt Disney World Resort. The selected park will open to resort guests one hour earlier in the morning or stay open for resort guests up to 3 hours after the posted closing time. These Extra Magic Hours can be less crowded, as they are only open to Disney resort guests. My favorite way to use Extra Magic Hours is for a morning in the Magic Kingdom. It’s nice to enjoy Fantasyland before it gets too crowded. I love to make Peter Pan’s Flight my first ride of the morning and start my day off with a classic! 3) Disney Transportation -While the Magical Express means you don’t need to rent a car to get to the World, you also won’t need to rent one while you’re there. That’s because the Disney Transportation System will take you where you need to go. The busses, boats, and monorails that make up the DTS will take you from any resort on property to each of the Theme Parks and Disney Springs. Best of all, it’s completely free to use! 4) Book your Dining and Fastpass+ Early -Disney Resort guests can book their dining reservations 180 days from their arrival date through the duration of their vacation. This can give you an edge to score hard-to-get reservations such as dinner at Be Our Guest restaurant or a pre-rope drop breakfast at Cinderella’s Royal Table. While it can’t guarantee that you’ll get these reservations, it certainly helps. The same goes for Fastpass+. Walt Disney World Resort hotel guests can book their Fastpasses 60 days from their arrival date at the resort. This is huge for scoring Fastpass for Pandora attractions and for Seven Dwarves Mine Train. Even with this advantage, Fastpasses for Flight of Passage are almost impossible to get. But even so, you can score Fastpasses for Na’vi River Journey without too much trouble. 6) Get Your Purchases Delivered to the Resort -Found a souvenir that you just have to have? That’s awesome, but it’s definitely not fun to lug it around the theme parks all day. Disney Resort guests can have their purchases delivered to the resort so you don’t have to spend all day lugging that stuffed Mickey Mouse around! 7) Never Leave the Magic -When you stay at a Disney resort hotel, you’re surrounded by the Disney magic 24/7. 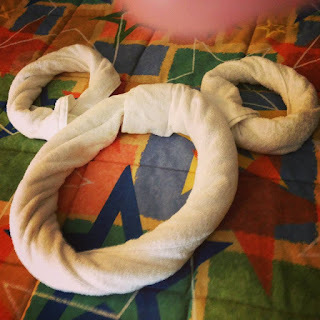 All the hotels have special Disney touches and the famous Disney customer service. Some hotels, like the Value resorts have larger-than-life Disney icons. Other hotels like the Moderates and the Deluxes have more subtle theming. All are special and make for a great vacation. There’s so many aspects that go into planning a Disney Vacation. It can be overwhelming. That’s where travel agents like me can help. E-mail me at kellyp@magicaladventurestravel for your free no-obligation quote for your Magical Disney Adventure! I’ll even send you a free WDW Packing List!